Students of radiology and radiography at both undergraduate and postgraduate level often experience difficulty in learning MRI techniques. 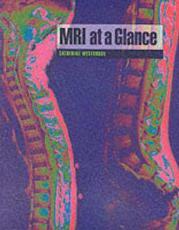 This book provides concise, easily accessible information on MRI physics which can be used as a revision tool. Topics covered include relaxation processes, image contrast, pulse sequences, image production, image quality, artefacts, MRA, instrumentation and safety. Double page spreads for each section will contain a diagram and/or image depicting the main concepts of MR physics together with a succinct account of the topic in bullet points and tables.